A question we hear all the time from NerdWallet readers, as well as from family and friends, is: “What’s the best credit card?” And we usually respond with a non-answer answer: “It depends.” That’s because the credit card that’s best for you depends on what you want to get out of it. The best card for you may not be the best credit card for someone else, because everyone has different habits, lifestyles and credit histories. There are thousands of credit cards, but most fit into a few categories: cash-back rewards, travel rewards, balance transfer, low-interest, student and business. Major issuers offer all of these types of cards, with various differences. Think about what you want to get out of the card. With a travel card, for example, you earn points or miles with each purchase, and you redeem them for travel. With a cash-back card, you get a certain percentage back from the money you spend, and you can redeem it for cash or a credit on your statement. Balance-transfer cards are for paying off debt. There are 0% or low-interest cards for those who carry a balance and want to minimize the amount of interest they pay. Secured credit cards are for those with bad credit or no credit history. So what do you want to get out of the card? Answer these questions. Do you plan to carry a balance? If you expect that you won’t pay your balance in full each month, look for a 0% or low-interest credit card. Rewards cards tend to have higher APRs, and when you carry a balance, the interest you end up paying will likely offset any rewards you earn. So a rewards card wouldn’t be the best choice. How long does the 0% period last, and is it enough time to pay off your debt? Does the 0% apply only to transferred balances or also to new purchases? Ideally, it would apply to both. A card that pays you a flat rate on all spending. A card that pays higher rates in specific categories, such as gas or groceries, and a lower rate on everything else. A card with bonus categories that change throughout the year. Bonus categories pay a high rate, but you have to remember to sign up for them. How much do you travel? With travel credit cards, you earn points or miles that you can either use to book travel or redeem for credit against travel expenses on your statement. This is great if you travel frequently. But if you don’t travel much, or at all, your rewards will just pile up unused; in that case, a cash-back card is better. Do you frequently fly a specific airline or stay at a specific hotel group? Look at a co-branded airline credit card, which gives you perks like free checked bags, priority boarding and extra frequent flier miles, or a hotel credit card, which allows you to earn free nights and upgrades. If you travel but aren’t loyal to any one airline or hotel group, look at general travel cards. Do you mind paying an annual fee? A good rewards credit card can give you more than enough back in rewards to make up for the annual fee. Still, if you’re averse to fees in general, there are many good credit cards with no annual fee. Are you trying to build or rebuild credit? If your credit score isn’t good, you’ll have to put in some work to improve it before you can qualify for better credit cards. The easiest way to build credit is by getting a good secured credit card and using it responsibly. 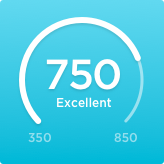 Every card listed on NerdWallet has a “recommended credit score,” to give you a sense of whether you could qualify. Our credit card comparison tool allows you to filter cards according to credit score. In general, the better your score, the more cards you’ll qualify for, and the better the terms on those cards will be. Good to excellent credit qualifies you for higher rewards, lower interest rates and better perks. Now that you know your score, let’s look at some examples of cards that deliver different kinds of benefits. Day-to-day living requires you to spend money. Consider how much you shell out for groceries, gas, dining out, traveling and other common expenses. Then look for a card that matches your spending habits. If you’re feeding a family of five, for example, you probably spend a lot on food, so look for a card that offers a high cash-back rate on groceries. The Blue Cash Preferred® Card from American Express pays 6% back on up to $6,000 a year in U.S. supermarket spending and 1% beyond that, plus 3% back at U.S. gas stations and select U.S. department stores. The annual fee is: $95. The Blue Cash Everyday® Card from American Express, meanwhile, has a $0 annual fee — but offers lower cash-back rates of 3% at U.S. supermarkets (on up to $6,000 a year in purchases) and 2% at U.S. gas stations and select U.S. department stores. Other cards let you turbo-charge your cash-back earnings. For example, the Discover it® Cash Back and the Chase Freedom® pay 5% cash back on purchases in specific categories that you register for, or “activate,” each quarter. In the past, categories have included gas stations, grocery stores, restaurants and Amazon. These cards cap the amount of spending eligible for the bonus rewards each quarter, and you get 1% for everything above the cap. If you spend a lot at specific stores, it may be worth getting their co-branded credit card for the rewards. For instance, the Costco Anywhere Visa® Card by Citi gives you 4% cash back on gas (up to $7,000 a year in spending), 3% back on restaurants and travel, 2% on all purchases at Costco and Costco.com, and 1% on everything else. Cash back is redeemable at Costco. The Target REDcard, meanwhile, gives you a 5% discount on all purchases at Target and Target.com (plus free shipping for online purchases). Maybe you don’t want to think about category spending and just want to earn a solid cash-back rate on everything you buy. There are cards for that, too. The Citi® Double Cash Card – 18 month BT offer does what its name says: You get 1% cash back on every purchase and 1% back when you pay off the purchase. A host of other cards pay 1.5% cash back. Cash-back rewards cards are the most popular with consumers, according to a 2015 survey by market research firm Ipsos and the American Bankers Association. Among travel cards, determining “the best” again involves a lot of questions. Most travel cards have an annual fee, so the first question is whether you travel enough that the perks and rewards are worth it. Consider the Chase Sapphire Reserve®. First off, it offers a sign-up bonus: Earn 50K bonus points after you spend $4,000 on purchases in the first 3 months from account opening. That's $750 toward travel when you redeem through Chase Ultimate Rewards® . Then you get a $300 annual credit for travel expenses, plus other perks. You get 3 points per dollar spent on travel and restaurants and 1 point per dollar elsewhere, and points are worth 1.5 cents apiece when redeemed for travel through Chase. Adding it all up, is that worth the eye-popping annual fee of $450? Only you can answer that. Frequent fliers of a particular airline should look at cards offered by that airline. For example, if you frequently fly in and out of Dallas/Fort Worth, consider getting an American Airlines credit card. If you’re always on United, check out the United℠ Explorer Card. If you spread your business around, look at travel rewards cards that aren’t linked to a specific airline, such as the Capital One® Venture® Rewards Credit Card, which gives you 2 miles per dollar. Don’t want to pay an annual fee? Look at the BankAmericard Travel Rewards® credit card or the Discover it® Miles. Are airline perks like free checked bags enticing to you? Does the card you’re considering offer benefits like trip cancellation and interruption insurance? Will you be able to use the miles you earn? Can you redeem them for cash or merchandise if you don’t have travel plans? Does the card have a foreign transaction fee? (No good travel card should charge one.) The answers to these questions will help you determine which travel card is the best for you. Although you should strive to pay your balance in full every month, sometimes that’s just not possible. If you expect to carry a balance, look to a low-interest credit card or one with a long interest-free period for purchases. If you’re carrying a balance on a high-interest card, consider transferring it to a 0% interest credit card to help you pay it off. Balance-transfer cards typically charge a fee of 3% to 5% of the amount you transfer, which cuts into your interest savings. When you’re weighing balance-transfer or other 0% interest offers, be sure you understand what the 0% interest applies to: Is it only the transferred balance, or are new purchases at 0% also? This matters because it determines whether you’ll get a grace period for purchases. And read the fine print regarding the payoff rules of the interest-free period. Some “no interest” offers, particularly on store credit cards, require you to have the balance paid in full by the end of the 0% period, or the regular interest rate will be applied retroactively on the entire amount going back to the beginning. This is called deferred interest, and it can cost you hundreds of dollars. So now you can see why we say, “It depends.” There is no one best credit card. When you’re shopping for a new credit card, make a list of all the things you want in a card and see which cards fulfill those wants. There’s no reason you can’t make a credit card work for you.